Birthday walks at along the Cleveland Way | gingerbread smiles. For every birthday that I have, I've always got to make sure I'm doing something on the day. I understand that as some people get older, they start to be more lax about their birthday, even working on their special day. I really enjoy planning something fun and different to do on the day. As my birthday falls in August, a lot of the activities I've done of the years have been outdoors such as strawberry picking and exploring Florence. 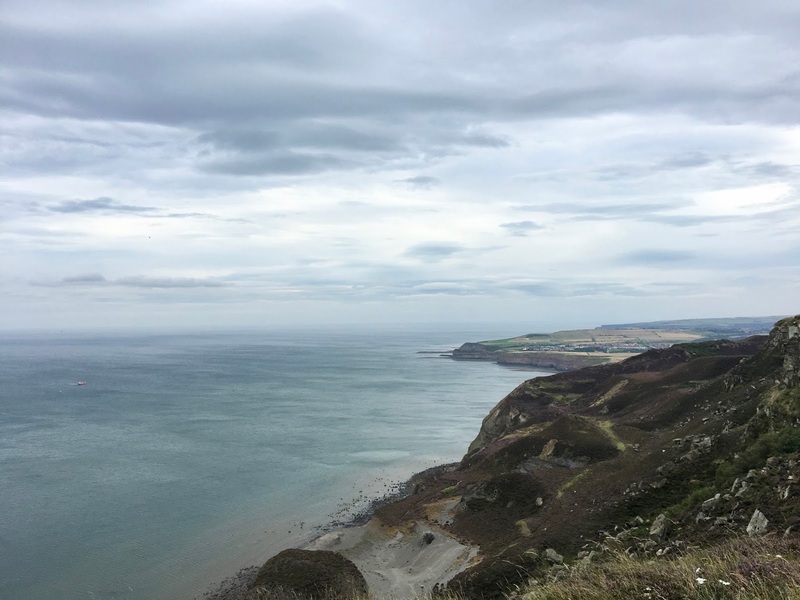 This year, with our newly purchase walking boots in tow, I decided we'd brave the English coast for a walk along The Cleveland Way. Reading that along the Boulby Cliff & Staithes trail you can be at the highest and lowest point of the East coast of England, we thought this would be a perfect route to try. 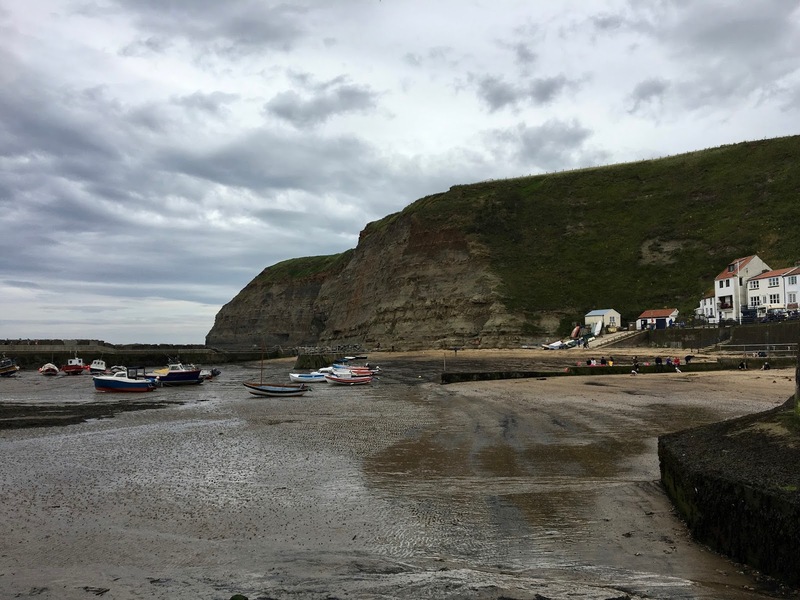 Starting at Staithes top car park, we ventured down into the Harbour which was adorably quaint. I wished we could have stayed for fish and chips and took in the views. Alas, we kept walking up hill and then along the coast taking in the breathtaking North Sea and to our left, Boulby Mine. We walked as far as we could before the trail started to take us further up. It was a hefty climb but when we reached the top it was pretty epic. The view of the North Sea, coupled with the colourful flowers and historic landscape was stunning. Although it was super windy, we stayed here for a while taking lots of photos and a few cheeky selfies. As we went to explore the next part of our route, this is where we went a little wrong with the map. Only new to this walking malarky, our map reading skills aren't the best and we managed to walk our way through someone's farm. 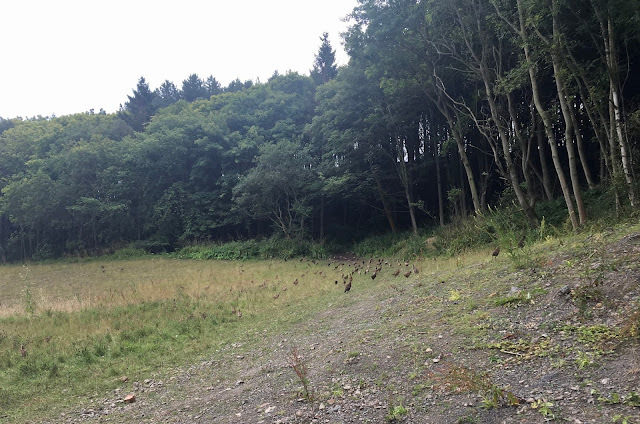 When we'd finally escaped the squealing pigs and eerie silence of the farm (which felt like something out of a horror film), we tried to get ourselves back on track, which we eventually did. 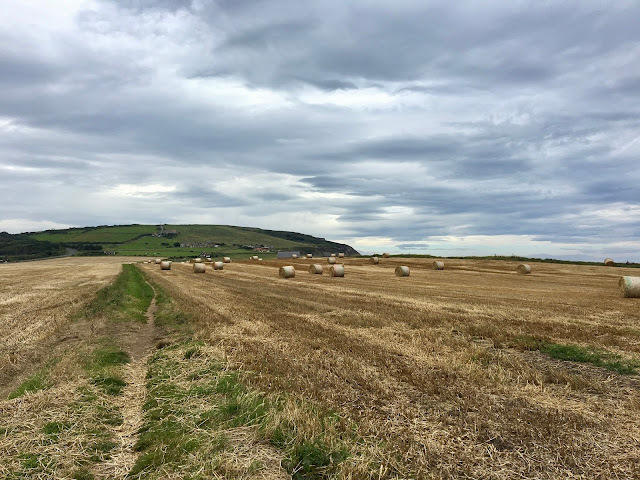 Chuffed with how we managed to get ourselves back on the route, we finished up the walk in no time taking in more farmland, seeing the Boulby Mine from another angle and walking through forest area inhabited by hundreds of birds. Seriously, we came into an opening and approximately 200 birds all scattered to the edges of the wood, darting through the grass. Very surreal. We finally trekked up the road and back to the car park only minutes before our parking was up. A very satisfying feeling. After completing this walk, I'm looking forward to trying out a few other routes along the Cleveland Way. Have you been on any good walks lately? Beautiful views! We bought walking boots at the beginning of the Summer ... then Simon hurt his foot so we haven't been able to use them! BOOOO! !